HOUSTON, TX, February 26, 2018 – Sunny Sky Products, LLC. heats things up with the introduction of Jolly Rancher Hotties Slush, expanding the mouth-watering flavors of Jolly Rancher Hotties Sweet & Spicy Hard Candy into the frozen beverage category. Sunny Sky Products is a proud licensing partner of The Hershey Company and currently offers the Jolly Rancher Slush in a multitude of flavors, including the core four Jolly Rancher Hard Candy flavors of Cherry, Blue Raspberry, Watermelon and Green Apple. The new Hotties Slush heats up our already-loved line of frozen beverages by offering on-trend, sweet & spicy flavor options for consumers that like a little heat. 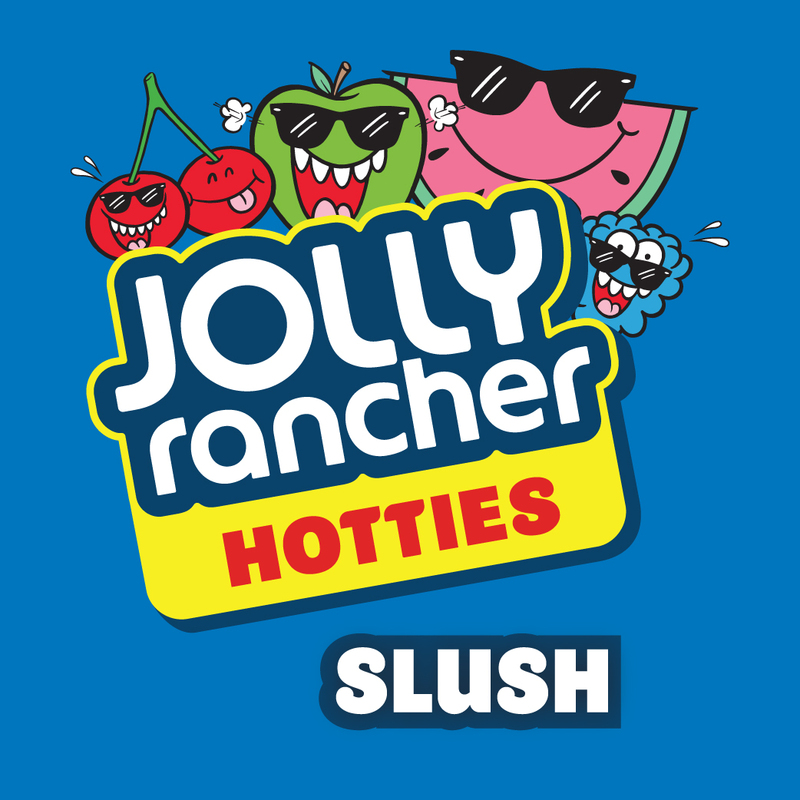 Jolly Rancher Hotties Slush is available in four flavors – Cherry Habanero, Watermelon Cayenne, Blue Raspberry Sriracha and Green Apple Ginger. We will be offering each flavor as both frozen carbonated and uncarbonated beverages to fit our customer’s beverage program needs. These spicy flavors can be purchased in ½ gallon bottles and 3 gallon Bag-In-Box (BIB). Are you ready to heat up your frozen beverage program with Jolly Rancher Hotties Slush? Click here to learn more. Based in Houston, TX, Sunny Sky Products, LLC is a premium dispensed beverage manufacturer of cold dispensed, hot dispensed, frozen beverages and beverage enhancers for convenience stores, schools and restaurants since 1999. Their product portfolio includes brands such as Hershey’s Freeze, Jolly Rancher Slush, Pure® Craft Beverages, El Nino Aguas Frescas® and Original Slushie Company®. Sunny Sky Products distribute their products in over 20 countries worldwide. For more information visit their website at www.sunnyskyproducts.com. The HERSHEY’S and JOLLY RANCHER trademark and trade dress are used under license.